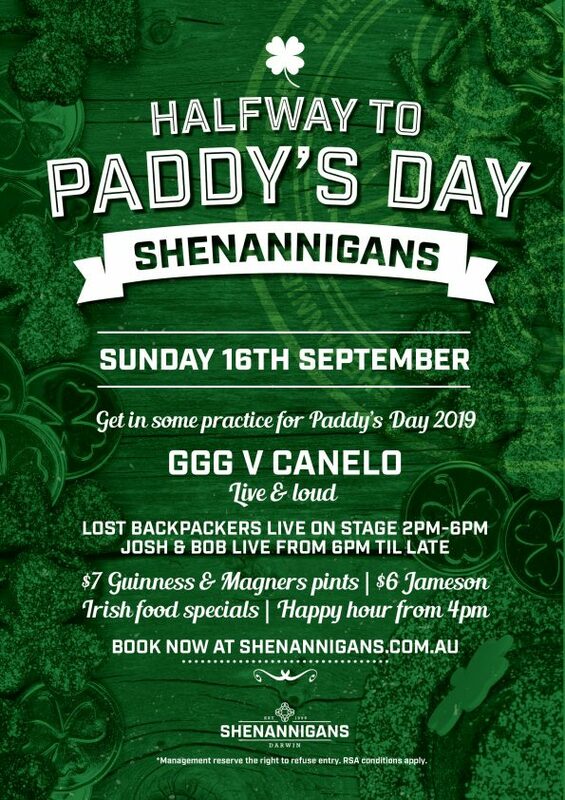 Join us for our halfway to Paddy’s Day event & get in some practice for Paddy’s Day 2019. We will be screening the GGG V Canelo fight LIVE & LOUD! Irish food specials all day, $7 Guinness & Magners pints & $6 jameson. Happy hour from 4pm & live music from 2pm! Josh & Bob LIVE from 6pm til late!